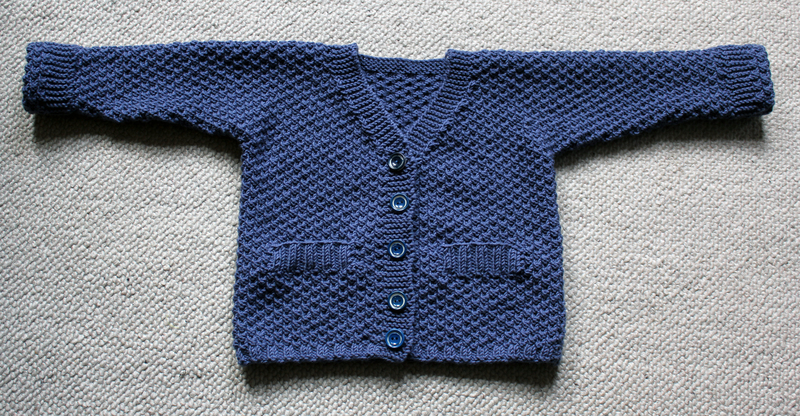 Here’s a cardigan I knitted for Luke’s good friend Tom for his first birthday back in April. 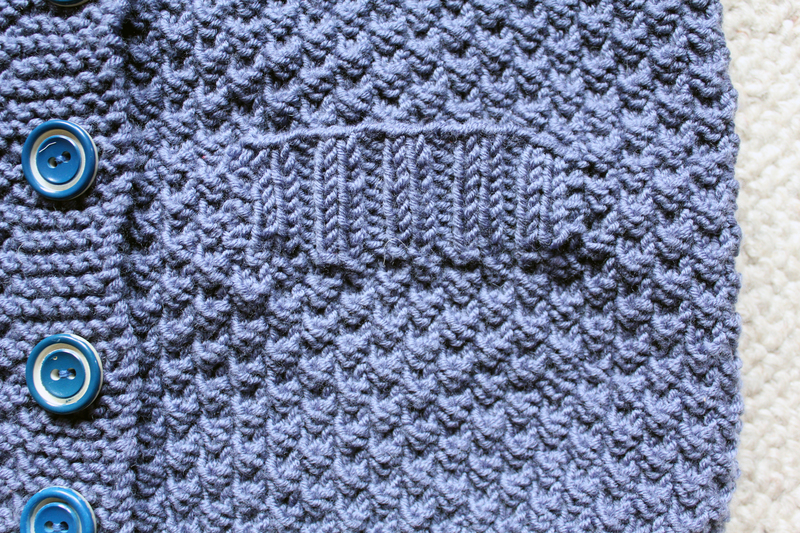 It’s one of the new patterns from DROPS and I really loved knitting it up. It did take a little longer than I wanted it to as the pattern called for moss stitch on the entire jacket. But even though it did actually take a little longer I love the end result. 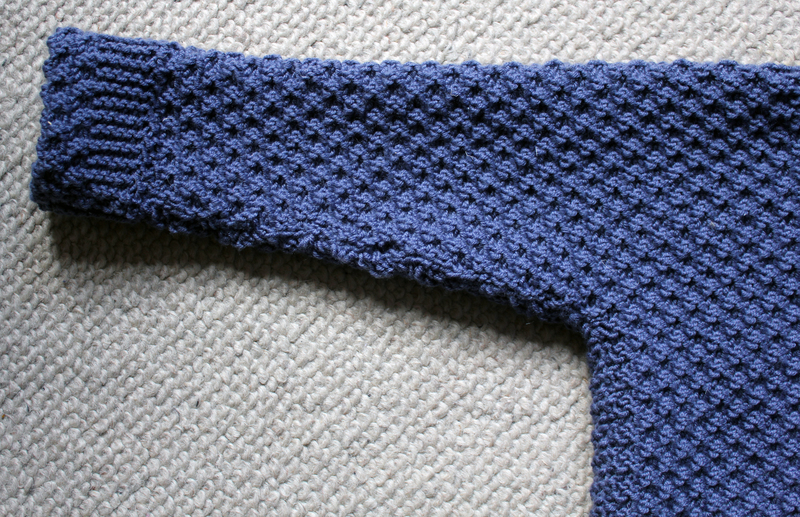 The moss stitch looks really good and gives the cardigan a nice character. And Luke also seems to approve. He was too keen to be involved in the photo shoot when I was taking the pictures. The added pockets can’t really be used as pockets, but they just add that little bit extra and make the cardigan look a little bit like a grandfather cardigan. 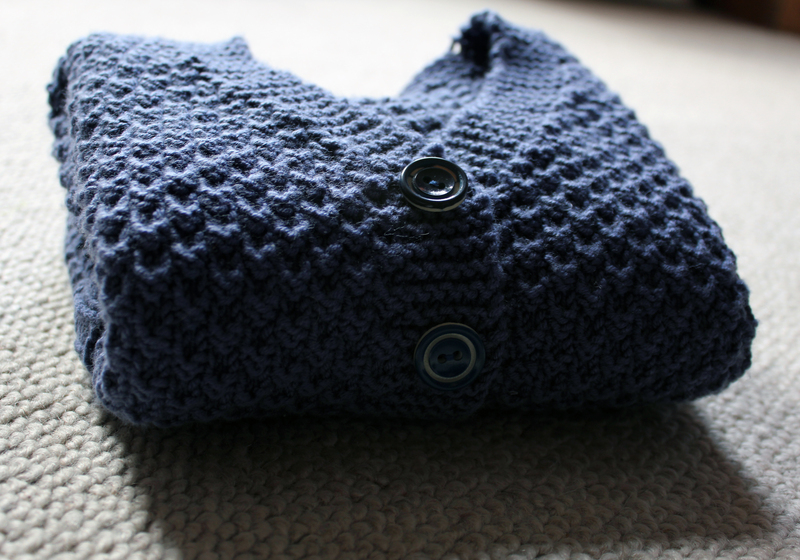 I originally wanted to pick a brighter colour, but then decided on this lovely denim blue. And I managed to find the nice blue buttons in my stash. All in all I’m really happy with the end result and my best friend Kerstin and handsome Tom are too. 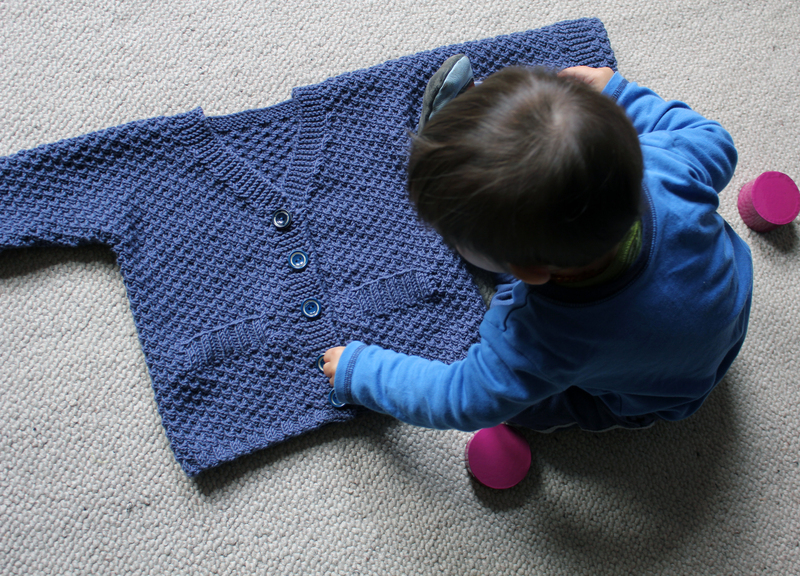 This entry was posted on June 12, 2012 at 9:00 pm and is filed under Baby, Knitting with tags cardigan, jacket, Kerstin, Tom, warm. You can follow any responses to this entry through the RSS 2.0 feed. You can leave a response, or trackback from your own site. What a gorgeous cardigan and I really love the pockets. That was one of the first things I noticed and then as I got down further in your blog, I saw that you had said something about them. I love the cute photo with Luke in it. 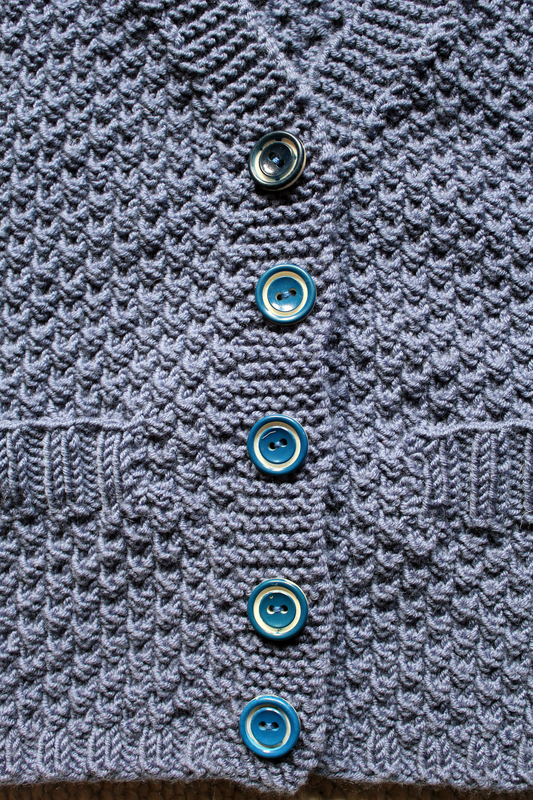 You just have the nicest buttons on your garments. They are lovely. the details are fabulous. it totally looks like a grandpa sweater, and you know how much i love dressing babies up like old men! This sweater is lovely! You did such a wonderful job. 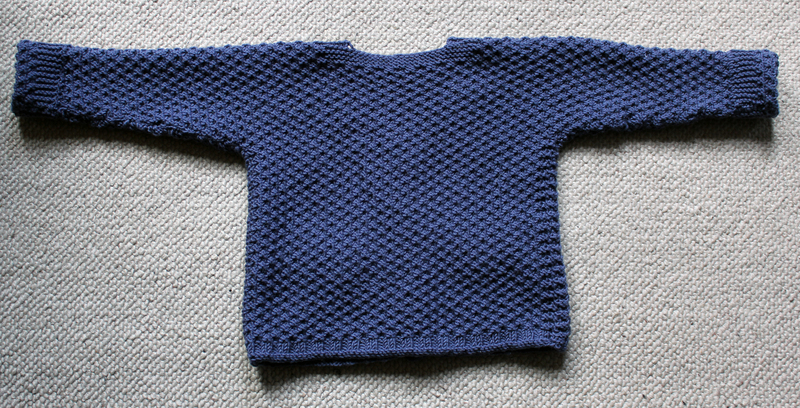 I am going to have to knit this for the twins (whenever I get a chance). It is very handsome!